leaving only distinct numbers from the original list. 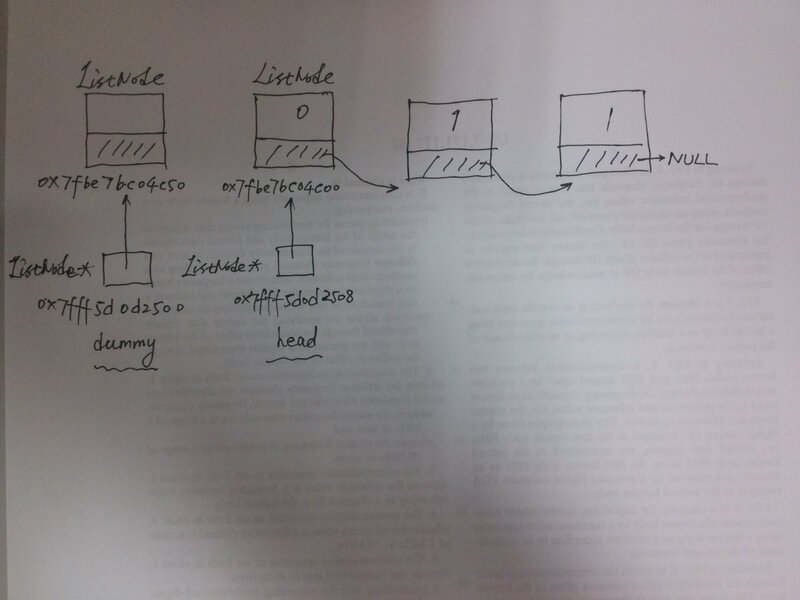 兩個指標(node.next 和 node.next.next)遍歷，時間複雜度為 O(2n)O(2n)O(2n). 使用了一個 dummy 和中間緩存變數，空間複雜度近似為 O(1)O(1)O(1).